This is one of our personal types of soup. 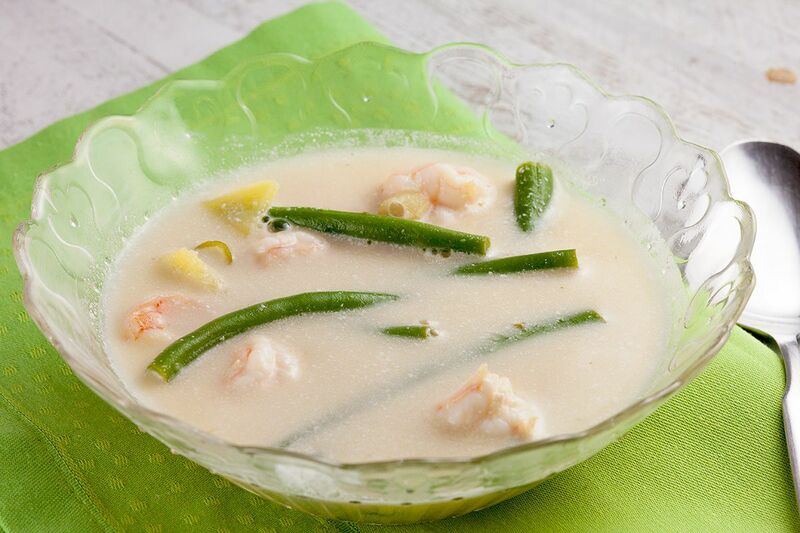 It has fresh shrimp, scallions, coconut milk and tastes absolutely fresh. Amazing flavors and smells will fill your kitchen. 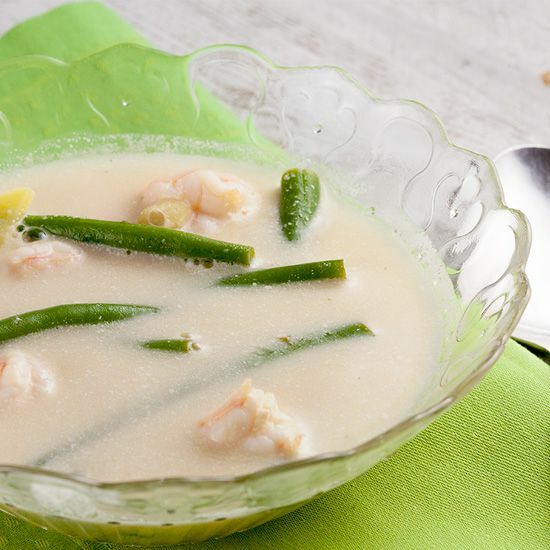 This thai coconut shrimp soup is ready in less than 30 minutes, perfect as a weekday meal! 1 can of unsweetened coconut milk (non-light), about 14 ounces. PREPARE the chicken stock, we’ve put up a recipe on how to make your own chicken stock. But you can use store-bought chicken stock if you prefer. SLICE the two scallions in thin slices and set aside. CRUSH the clove of garlic and set that aside too. Open up the can of coconut milk using the can opener. HEAT up over medium-high heat the chicken stock, coconut milk and add in 3 teaspoons of red curry paste. 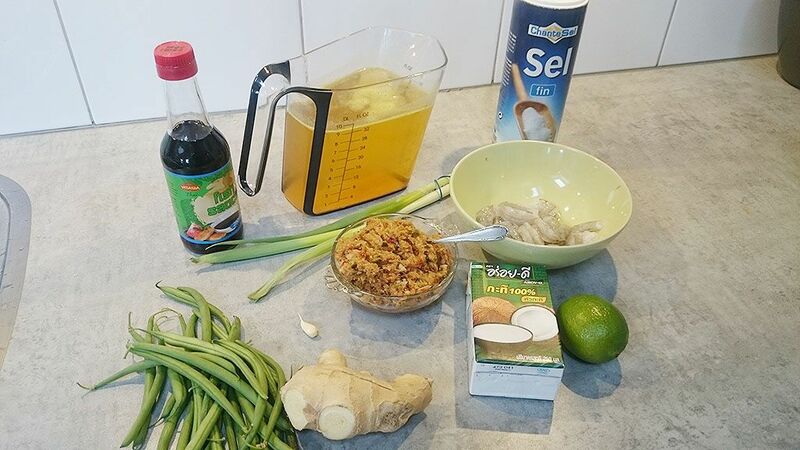 ADD in 1 tablespoon fish sauce along with the slices of fresh ginger, garlic and season with some salt. WHEN the soup is boiling, turn down the heat and let simmer for at least 10 minutes. LASTLY, add in the green beans and cook for 2-3 minutes. ADD peeled and deveined shrimp at the same time. 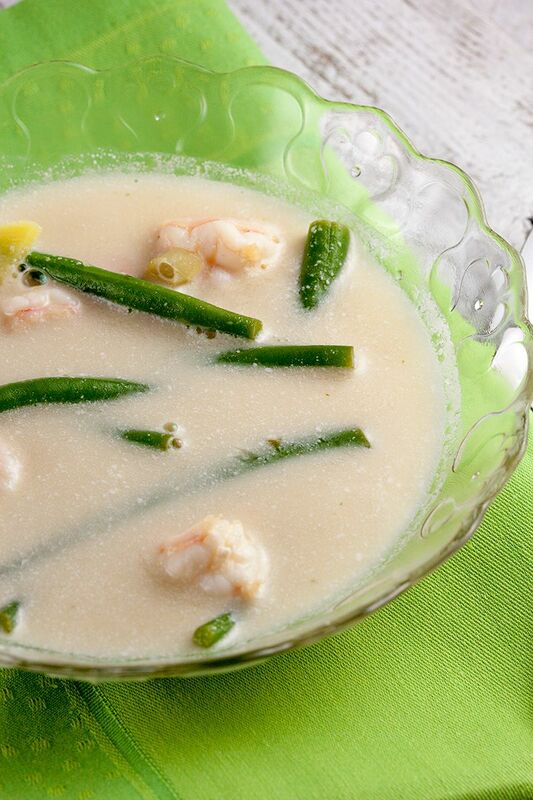 SERVE this Thai coconut shrimp soup with fresh scallions and lime wedges. Enjoy! Thanks Ryanne, you will love it!